Key lime pie reminds me of my sweet Granny, it was always my favorite part of dinner over the holidays. A slice of her key lime pie! Her pie was always amazing, just like everything else she made. So for Mother's day in her memory I had made key lime pie. There are so many times I wish she would have lived long enough to meet my sweet husband and the kids. Just so they could understand the love she had and her amazing skills in the kitchen! I truly thank her every day for the inspiration she gave me growing up, to do better, the great amount of love she had and a wonderful love of home cooked food! 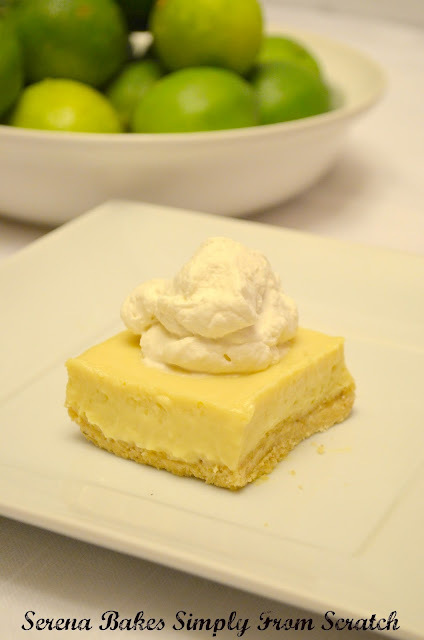 These key lime bars have a subtle lime flavor. My husband isn't a big lime or lemon dessert man, if we are going to be honest. But he loves limes, so I set out to create a recipe that he would enjoy. Mainly so I don't eat the whole dessert by myself in 1 1/2 days. I knew this hit the spot when he was sneaking into the pan and being caught enjoying the bars alone. Our conversation went something like this... Me, " I thought you didn't like key lime?" Colt," I don't but these are incredible." I also went with a bar over a pie because I was a bit lazy not in the mood to make a pie crust and bars are a little bit easier for pot lucks and large gatherings to serve. This recipe was featured at Goings On In Texas! Pulse in a food processor or chop almonds until fine. Add flour and powdered sugar. Pulse or mix until mixed thoroughly. Add cold butter cut in small chunks. Pulse or cut in with a pastry cutter until the size of small pea's. Place crust into a ungreased 9x13 pan. Press evenly into the corners and across the pan. In a mixer fitted with a whisk attachment beat room temperature cream cheese until light and fluffy over medium-high speed about 3 minutes. Scrape down the sides well. 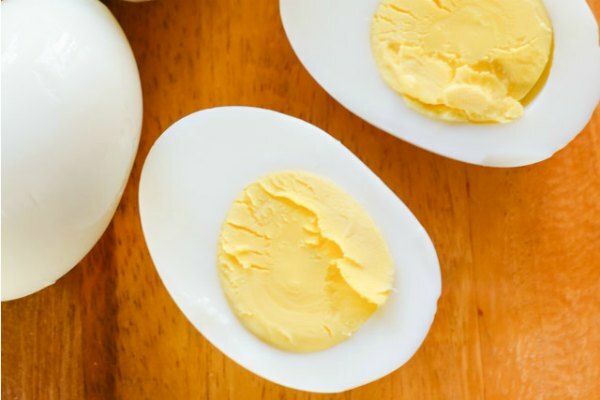 Add egg yolks and beat on medium-high speed for 4 minutes until yolks and cream cheese appear a pale yellow color. Scrape bowl 2 twice while beating. Drizzle in sweetened condensed milk while beating over medium-high. Scrape down the sides of the pan and continue to beat for another 3 minutes. Turn mixer to low and add key lime juice. Mix until incorporated. Bake crust in a 325 degree oven and cook for 20 minutes. Remove from oven and increase heat to 350 degrees. Add cream cheese/key lime filling to the pan. Smooth key lime filling to the sides of the pan. Return to the oven and cook for 10 minutes. Remove from oven cool to room temperature. Then place in fridge until cool. Serve with a large dollop of whip cream. Key Lime Cheesecake Bars With Almond Cookie Crust. For Crust: Preheat oven to 325 degrees. In a food processor or large bowl add almonds, flour and powdered sugar. Pulse or mix until well blended. Add butter to food processor and pulse until pea sized chunks. Otherwise use a pastry cutter and cut butter in until small pea sized pieces. Place crust mixture into a ungreased 9x13 pan. Press crust mixture evenly in the pan. Place in oven and bake for 20 minutes. Remove from oven. For Filling: Preheat oven to 350 degrees. In a mixing bowl fitted with a whisk attachment beat cream cheese over medium-high speed until light and fluffy about 3 minutes. Scrape down the sides of bowl. Add egg yolks and beat over medium-high speed 4 minutes scraping down the sides of the bowl at least two times. Cream cheese mixture will appear pale yellow. Scrape down the sides of the bowl and drizzle in the sweetened condensed milk while beating over medium-high speed. Continue to beat another 3 minutes. Turn mixer speed to low and add lime juice. Mix just until incorporated. Scraping down the sides of pan as needed. Pour the lime filling over the baked crust and place into preheated oven. Bake 10 minutes. Cool until room temperature and then refrigerate. Your key lime bars do look fantastic! I do like the method using the cream cheese, it gives so much more texture and height to the bars. Also, the sweet almond crust is such a complimentary base. Delicious post! Oh my goodness this recipe looks good. I LOVE almonds, and you have inspired me to put them into more recipes. p.s. I had a Nana who had a huge impact on the grown up me, and I dearly wish that she could have met my kids, she would have been over the moon in love with them! Serena, these bars definitely look so yummy! I loved the almond crust there. I am making these over the weekend! Always love the sweet fragrance of lime in food or even as its own. These look divine! I'm going to have to give them a try. I'm popping in from The Grant Life link up. You must be extremely close to your granny. Looking at your picture and the recipe, I'm sure this is one great dessert. I love cheese desserts..tempting! Sounds delicious! 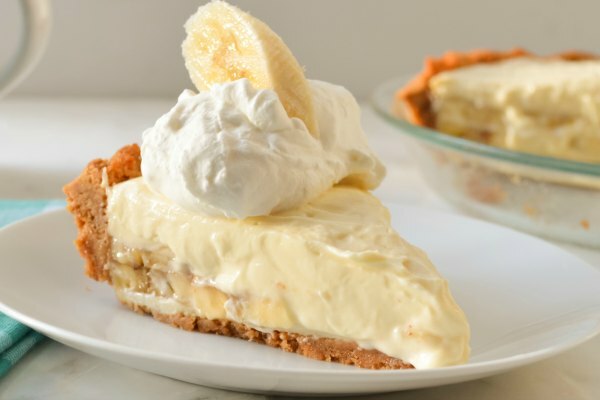 I love key lime pie and am always looking for new lime desserts :) Thanks so much for linking up to Creative Thursday this week. I can't wait to see what you link up next week. Have a wonderful weekend. Those look amazing. Key lime anything is my favorite so I am for sure going to have to try these. Found you through the blog hop. Happy to be your newest follower. This looks so good!! I need to try it out!! 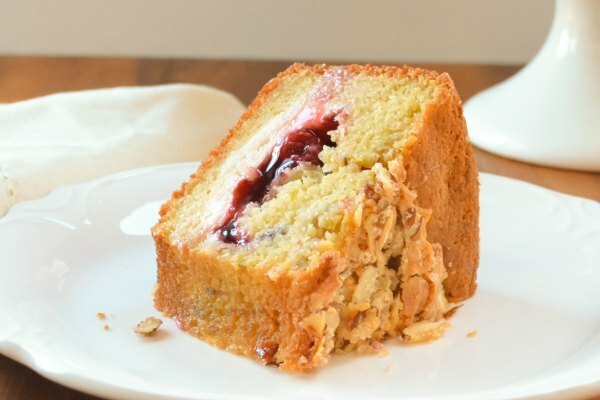 Thank you so much for linking up this yummy dessert at my Unveil Your Genius link party last week. You've been FEATURED! :) I hope you'll link up again soon! Oh that looks and sounds delicious.